AHHAH members pose around their mural in the community room of the library. 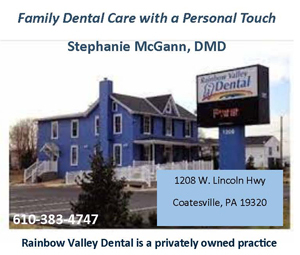 COATESVILLE – A proponent for unity and equality, Martin Luther King preached more than simply judging people by character rather than color. King’s message was one of change, calling for people to take action to create an environment of justice. Painting the community room in the Coatesville Public Library, Arts Holding Hands and Hearts, Inc. (AHHAH) volunteers were one of the forces working for positive change on Monday’s MLK Day of Service. Around 75 volunteers showed up throughout the day, including AHHAH members, Wawa staff, and dancers from the American and African Youth Leadership Foundation. 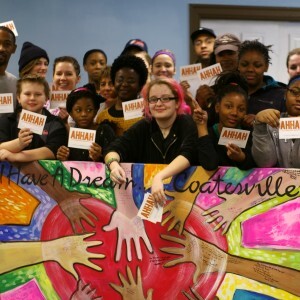 “We’re trying to be the catalyst for change in Coatesville,” said AHHAH founder Jan Michener. The organization, which was nominated by the Greater Philadelphia Cultural Alliance for a 2013 Groundswell Award, holds yoga classes in the library every Monday and facilitates writing projects for local students. Social Media Manager Jonquil Patterson said that painting the room was their way of thanking the library for giving AHHAH a space to share yoga and other creative experiences. “Citizens of Coatesville deserve a beautiful library,” he said. AHHAH members shared their dreams on the mural. 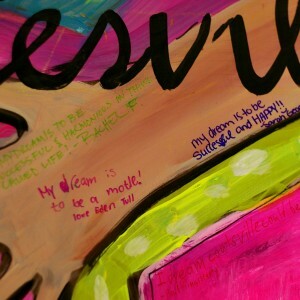 In addition to painting the room, volunteers also created a mural where, in the style of MLK, they shared their dreams. Designed by Carrie Kingsbury of Promised Land Murals, the mural depicted hands of different races with the dreams written over top of them. Aspirations ranged from wanting to be a successful artist to world peace. “I dream that Coatesville could be a place of wonder,” said one dream. King’s dream was not just reflected in the painting of the room but of the people themselves. Volunteers came from a wide range of ages and races. “It’s a reflection of the community. I think it speaks to the truth of what we’re doing,” said AHHAH Board Member Brianne Murphy. Patterson agreed, saying that before moving to Coatesville, he heard all kinds of negative rumors about the city, rumors that are disproven whenever he attends volunteer events. As each stroke of each paint brush turned the walls a pale blue and the doors white, the environment of the room began to change, too, going from drab to bright. The glossy paint seemed to imitate the hopefulness of the people applying it. Fellow student Chante James, who said she loved being around all the positive energy, agreed. She said that one person could go out and recruit a few others, who could recruit a few more until the whole city were involved. “If we all cooperate, we could get more kids so they’re not out walking the streets. Just that one person going there could tell another person, and they could tell another person,” she said. She also said that she would like to see more events like this to keep kids doing positive things such as community dinners, food drives, and sports. Michener that said this kind of cooperation embodies the idea of MLK’s dream. She said that through diversity, good people of different backgrounds can come together to do good things. “It’s about when you see something that needs to be changed, you have to take a stand, you have to get out, you have to have your voice heard, and you have to do it. That is what today is about,” she said. But the good was not limited to just the library. Wright Funeral Home held a Day of Service and Health, offering screenings and information to people. Representatives from Paoli Hospital distributed information on sleep disorders, heart health, nutrition, diabetes, preventing falls, and dental health. They also offered free blood pressure, stroke, and cholesterol screenings. “It allows the community to come together and share ideas,” said Leslie Wright, the wife of Funeral Director Ventor T. Wright. Wright said that health education is important not just for allowing people to maintain their health but also so that they know what resources are available in times of need. Across town, the Coatesville Fire Department taught about fire safety and proper smoke detector usage, and the Coatesville Soup Kitchen served over 200 people on Monday. Magisterial District Judge Grover E. Koon, Coatesville Police Chief Jack Laufer, Valley Township Auditor James Jackson, and Caln Commissioner Josh Young were all present as coats, clothes, and toiletries were also distributed. All of these things came from donations to the soup kitchen. At the Keystone Valley Fire Department, several junior firefighters from the area traveled to the Point in Parkesburg, where they helped Pastors Dwayne Walton and Chandal Taylor with the Point’s “Martin Luther King Jr. Day of Service” celebration. Redevelopment, calls for justice, and the city’s desire to prosper— things that require change. 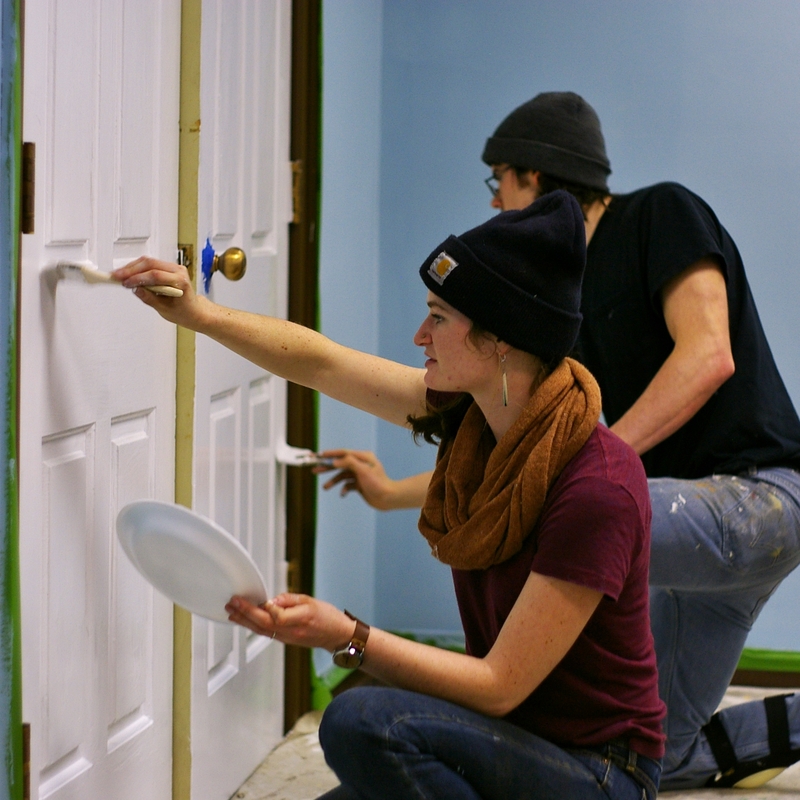 During Monday’s MLK Day of Service, Coatesville residents proved that they are willing to take action to bring about that change.